My camera was at the repair shop for much of this week, which gave me a great excuse to shoot more pictures with my iPad. 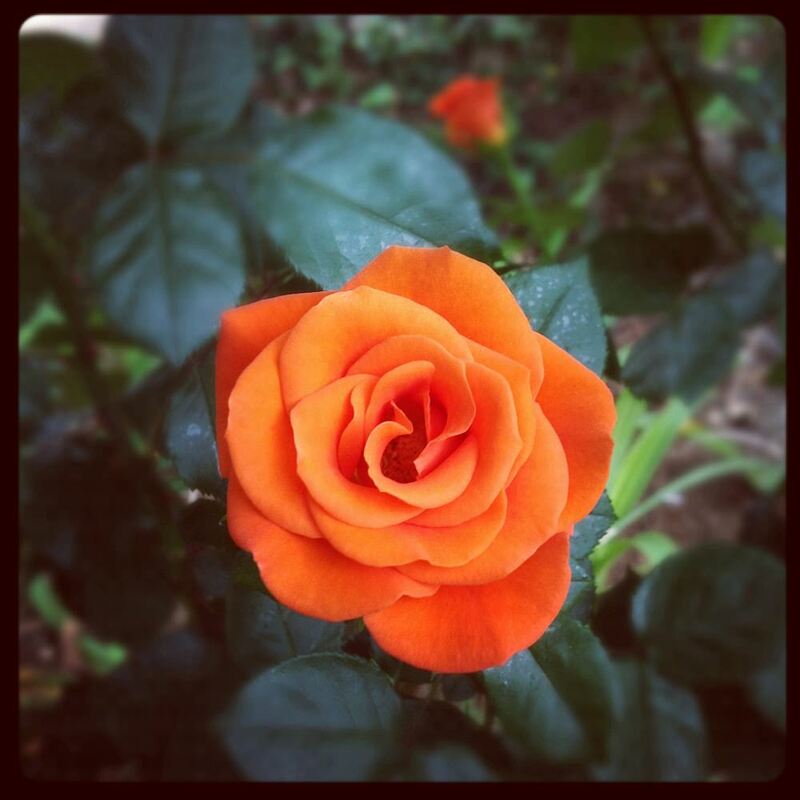 The perfect rose, shot in a garden in Northcliff. Once you get used to using it, the iPad is great for still-life/macro shots. Just find the perfect angle, hold your hand steady, and wait for it to focus. Here are some of my favorite shots from the week, taken at the Lucky 5 Star and around Melville. 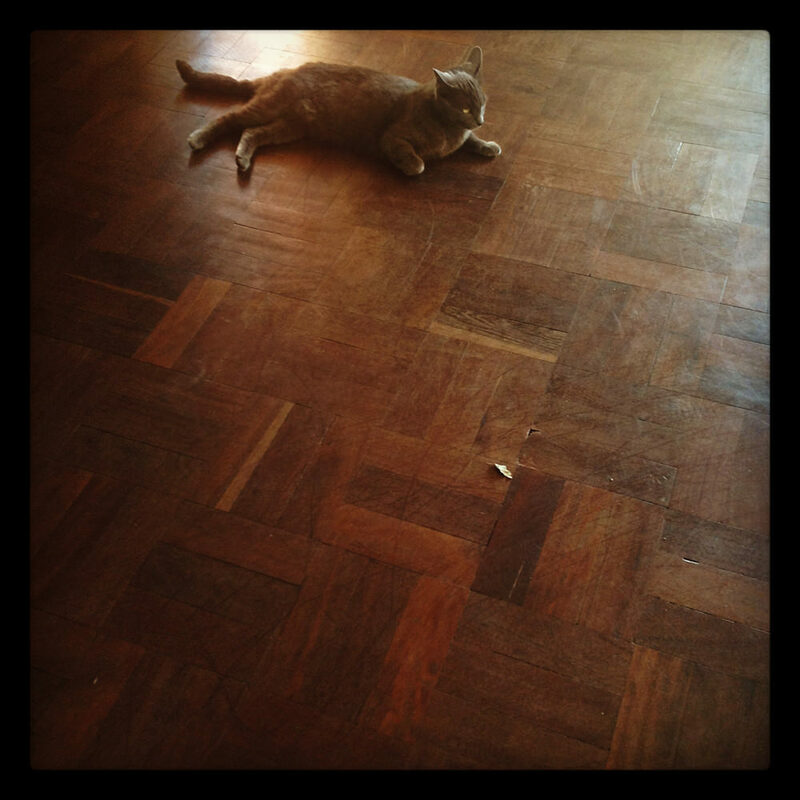 Cat on a parquet floor. 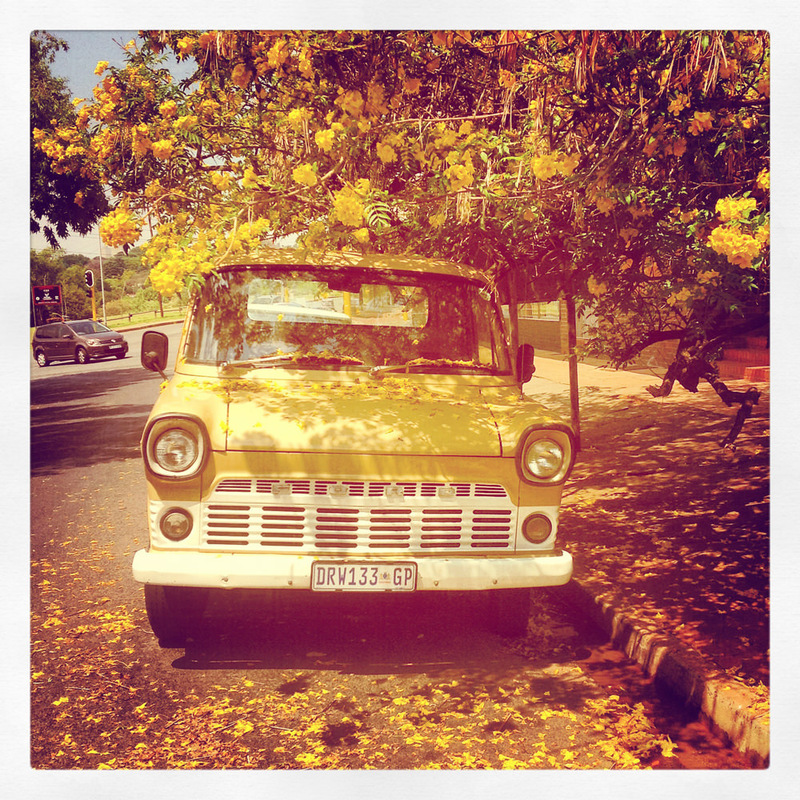 Yellow truck, yellow flowers. Seventh Avenue, Melville. Black Coffee, in Melville’s Bamboo Shopping Centre. 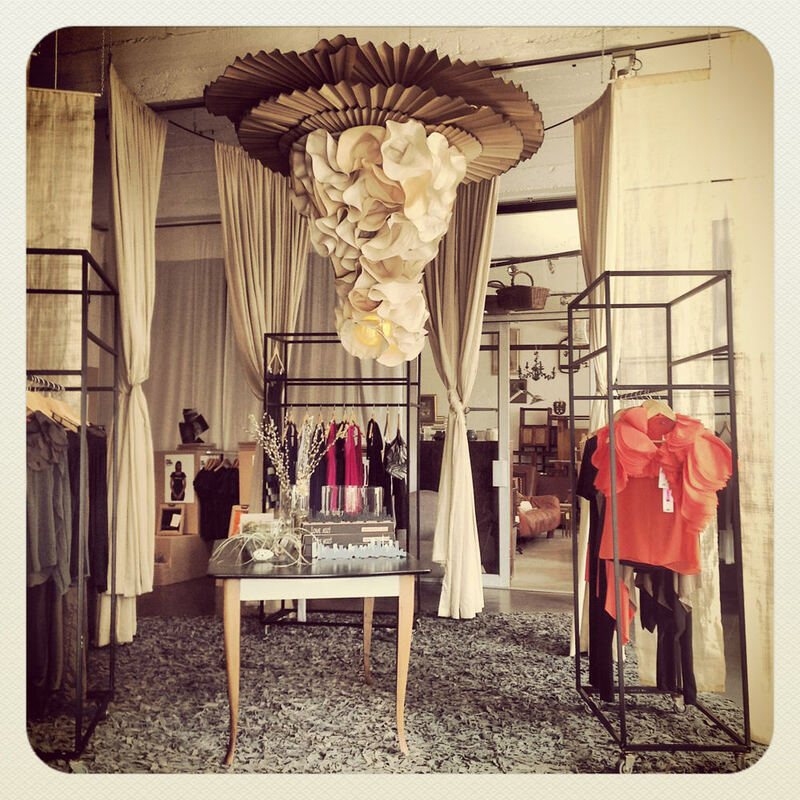 Possibly the most beautiful shop in Joburg. 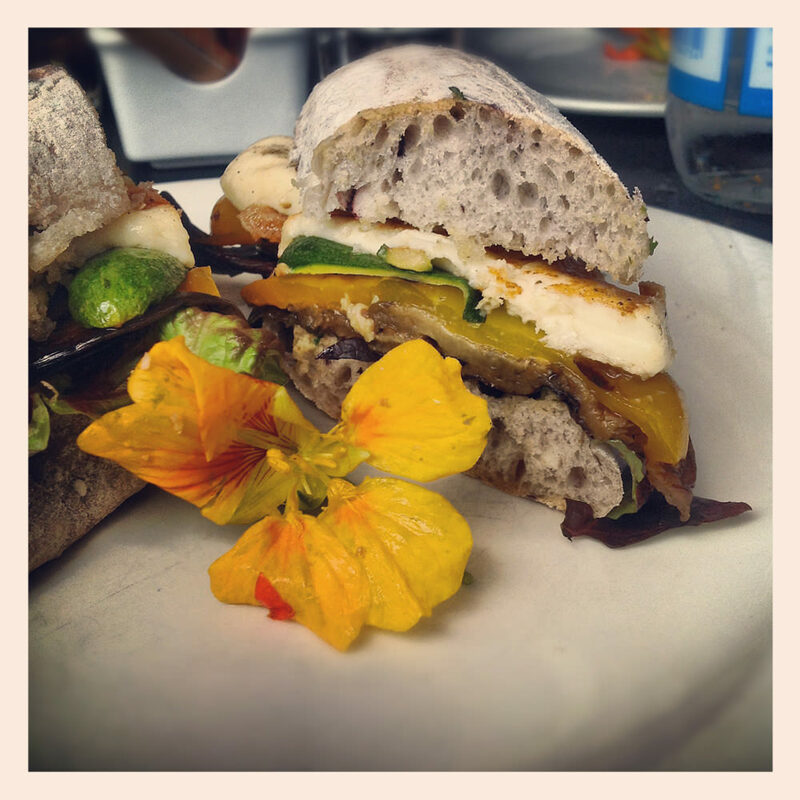 Grilled veggie, pesto, and haloumi sandwich from the Service Station, also in the Bamboo Shopping Centre. 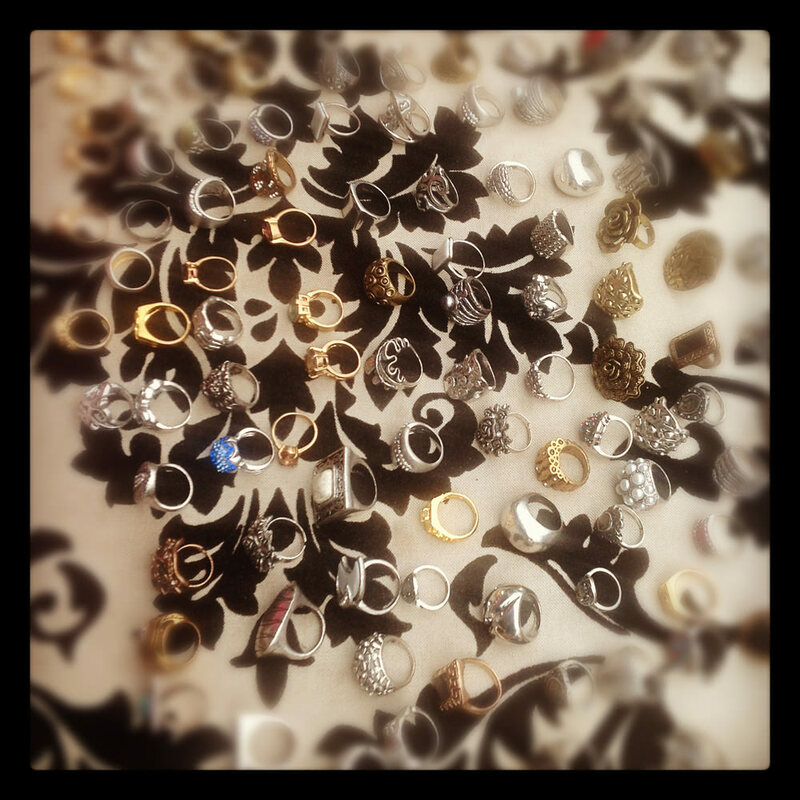 Jewelry for sale from a vendor on 7th Street, Melville. 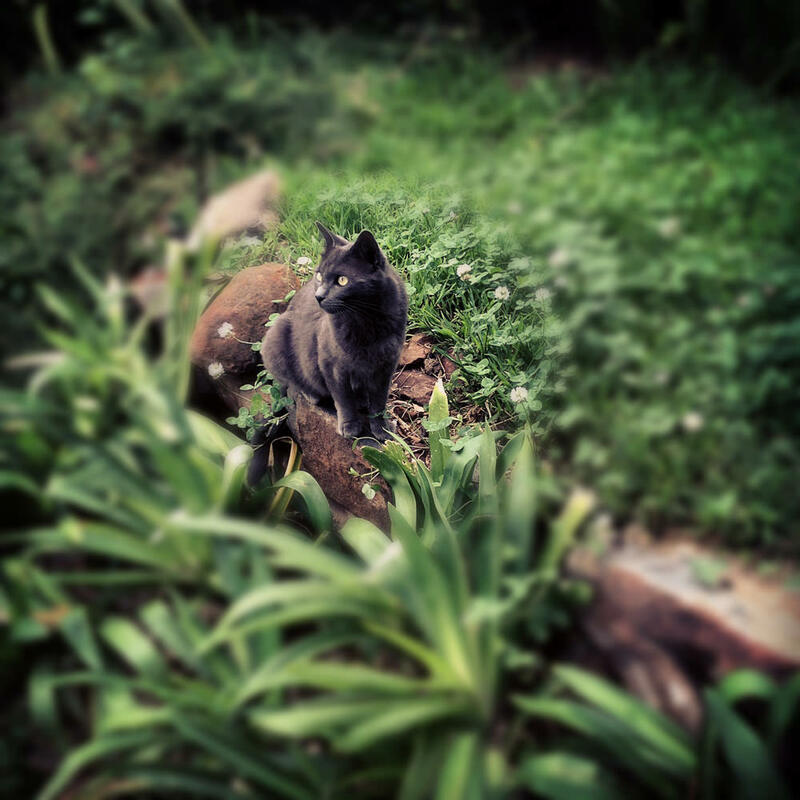 One of my favorite shots ever of the Melville Cat. 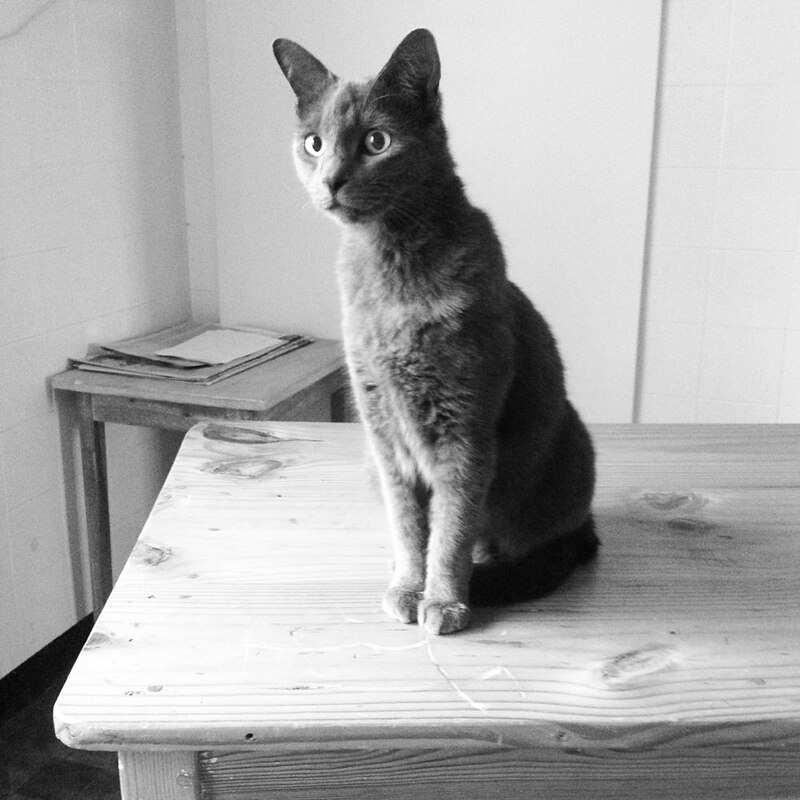 As Mia from Roets Uprooted commented recently, “Cats make such great Instagrams.” Especially this cat. I’m not giving up my Canon just yet. But after two years of gluing my left eye to a DSLR viewfinder, it’s fun to get back to basics. Nice. Basics are good. And: at this very moment here in chilly Berlin I’m wearing a T-shirt bought at Bamboo. Those shirts are expensive but so worth it. I haven’t used my IPad to take photos……I’ll give it a try. Do it! It’s fun little experiment. Nice shots. Haven’t used an IPad to take photos yet; but it’s hard to beat the convenience of having a good camera the size of a cell phone. Love shooting instagram with my Droid; but still waiting for the ability to shoot action and a viewfinder that you can use in the bright sun. Yeah, the bright sun thing is a problem, especially with the iPad. Thanks very much! I was pleased with that shot too. love the rose, the sandwich and the yellow truck shots. Classic.